We feature the most complete marine parts store in the area. Mercury, Champion, Teleflex and Sierra are just a few name brands that you will find in our vast inventory. And, we are able to aquire most anything you may need outside of our inventory. 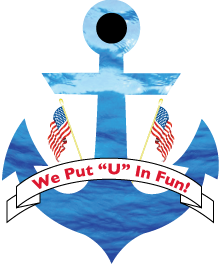 Stop in at Amercian Anchor, Inc. first for the products, quality and values around. Our knowledgeable parts personel will assist you in making the right choices and if push comes to shove, our service department will install the parts or repair your boat or outboard too.